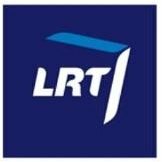 General TV Channel / LRT televizija is a Lithuanian television station owned and operated by LRT. LRT televizija was launched on 30 April 1957, and began broadcasting in colour in 1975. Broadcasting in 16:9 format began on 25 March 2013. LRT televizija broadcasts an average of 18 hours per day and is visible throughout Lithuania and via satellite Sirius 4 and Eastern Europe (one of the Viasat package of encrypted channels).